4 Yrs Young Luxury Town Home for Sale! Follow this home to receive updated status, open house information and pictures. 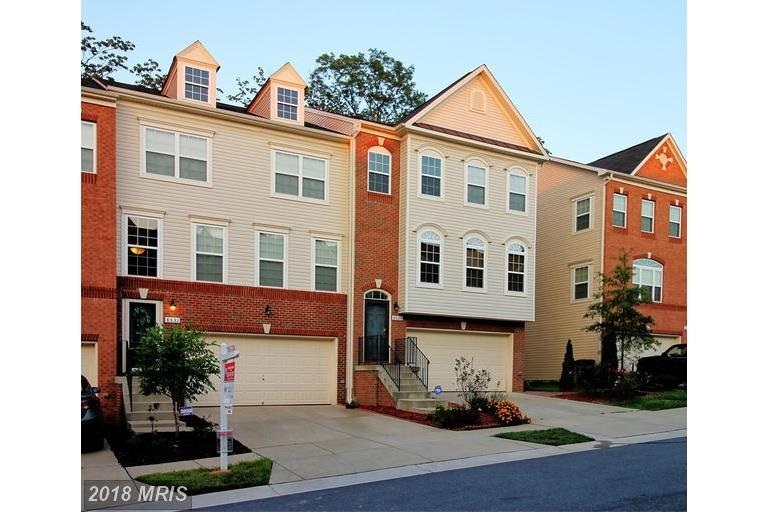 Call Tanika 301.367.7877 or click here to schedule to see this one before its GONE! Also, find out how you can get 4% Grant Money to Purchase this home. LUXURY 4 YRS YOUNG! This home is practically NEW! 3 bedrooms, 3 Full with 1 half bathrooms, 2 car garage, kitchen with granite counters and stainless steel appliances, hardwood floors on main level, lower level with extra room can be used for an office or 4th bedroom, Master with huge walk in closet and en suite with sunken tub, huge deck with view of woods. Buyer will be provided with 1 year home warranty. This home is conveniently located minutes to Ft Meade Army base, MARC, Laurel Town Centre and major routes, route 1, 95, 295 & 32. MUST SEE! Are you active duty or retired military, police, firefighters, EMTs, medical professional or teacher? This property qualifies for the Helping Heroes Discount Program offered by New Penn Financial in which can save you thousands on the purchase of this home. Not eligible for the Heroes Program? No worries, you can also qualify for up to 4% Grant Assistance Program through the Maryland Mortgage Program. Call me today to find out how you can save and purchase this beautiful home, 301-367-7877.